Time to earn a free product for every $100 purchase. Time to get free products by hosting a qualifying workshop. 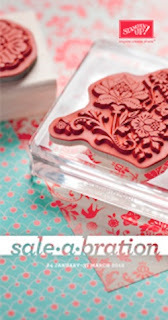 Time to join Stampin' Up! at the special price of $249 and get a free stamp set of your choice!